This is an update of the previous Mui Kee Congee Singapore post. 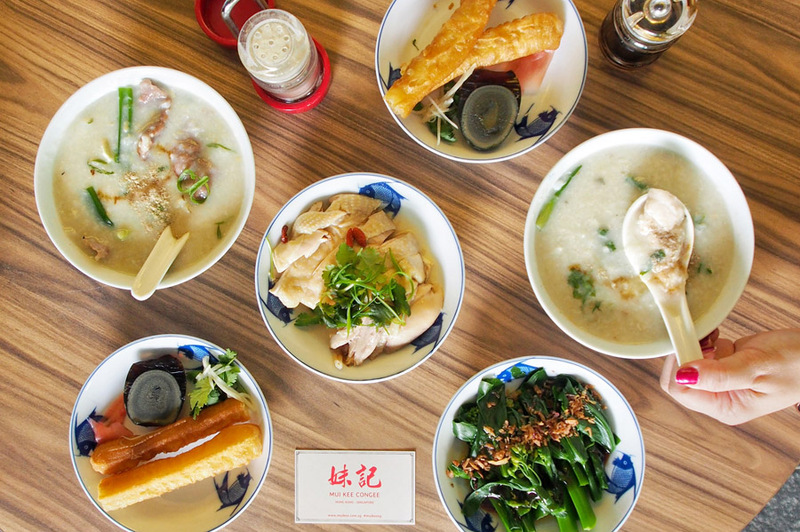 Known for its Cantonese style congee, Mui Kee has opened finally a permanent space at Shaw Centre under the Les Amis Group. The 50-seater restaurant takes over the space that was previously occupied by Caveau Bar. 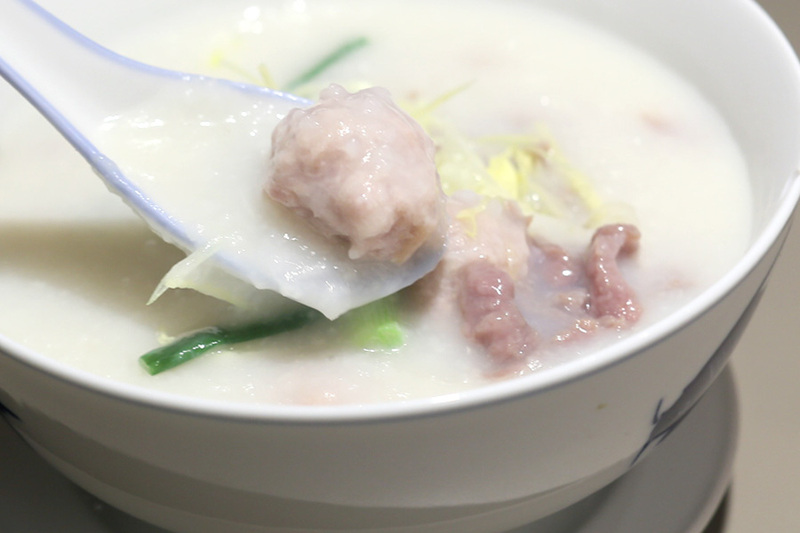 I have previously tried Mui Kee Congee 妹記生滾粥品 in Hong Kong, located at Level 3 of Fa Yuen Street Market Mong Kok, and was impressed with its heartiness and incredibly smooth texture. 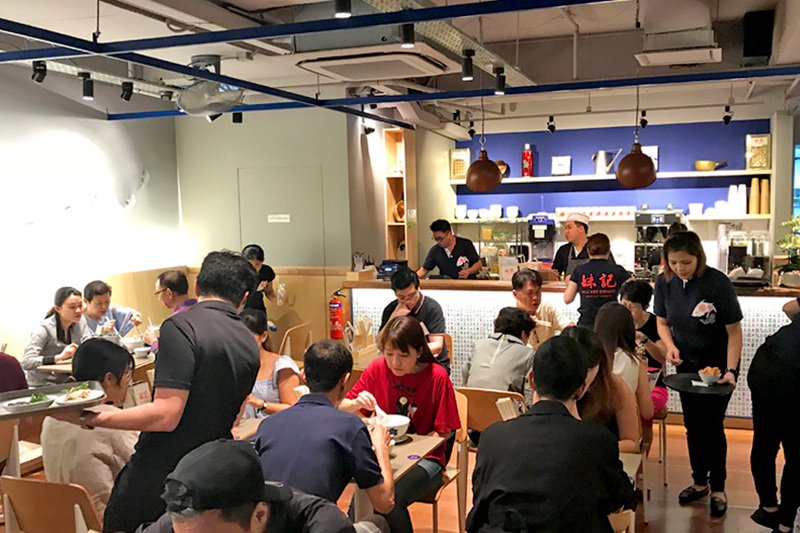 Unlike the humble stall in Hong Kong where only congee is served, the Singapore outlet offers a fuller menu. The décor (and price) has also become more ’atas’ , with walls decorated with fish motifs, and counter lined with mahjong tiles. I made a slight mistake of joining the queue right outside the restaurant. Then to realise there was ANOTHER line beyond. The expanded offerings include the Hong Kong-favourite of Pleated Steam Rice Noodles ($4.50– $5.50), served with an assortment of sweet and savoury accompaniments such as Fried Fritters ($4.50), Sakura Shrimps ($5.50) and Shredded Duck & Preserved Vegetable ($5.50). 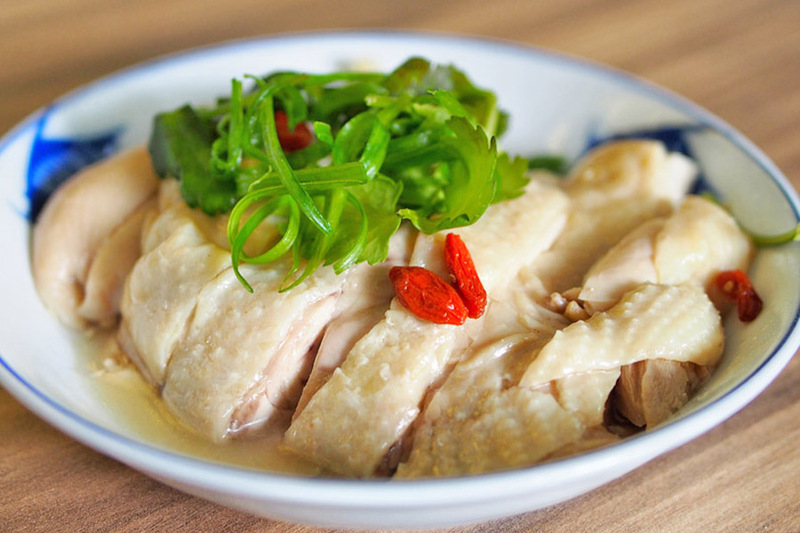 Heartier noodle dishes come in the form of a selection of fish noodles, made using the same stock as the congee. 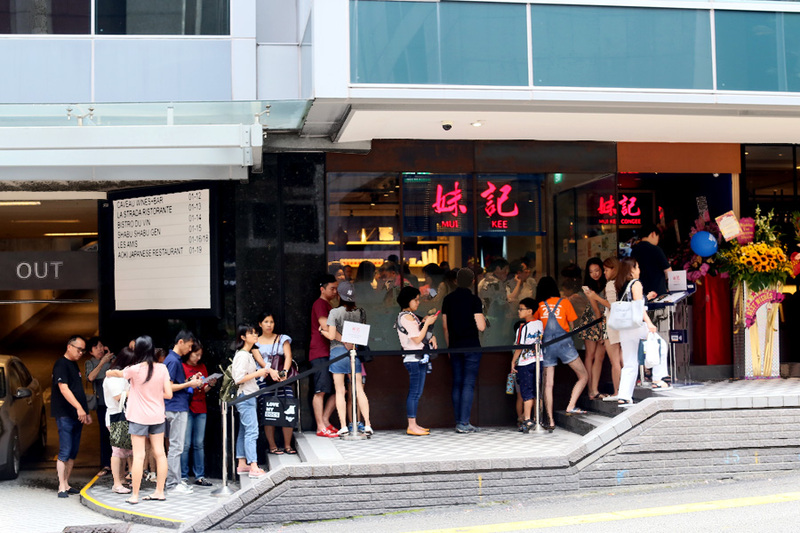 Options include Sliced Parrot Fish Noodle ($9.80), Dace Fish Balls ($9.80), to the premium Hokkaido Scallops Noodle ($20). 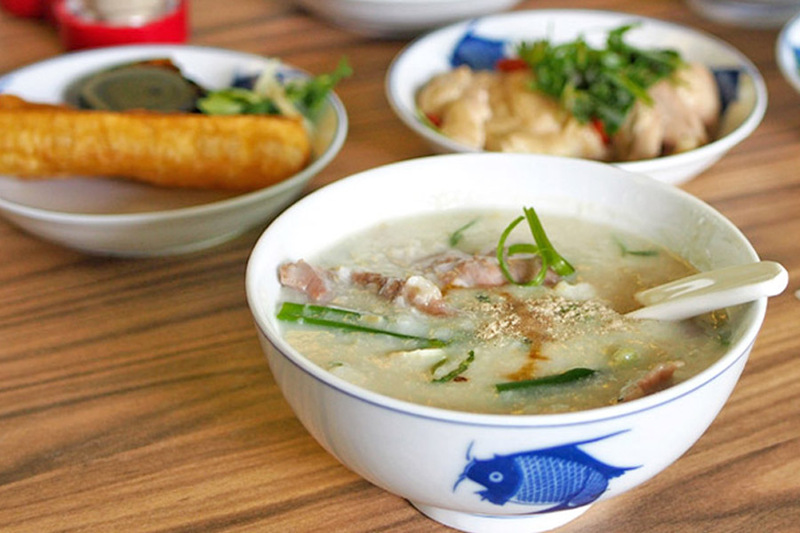 The classic range of congee includes Sliced Parrot Fish Belly, Homemade Pork Meatballs, Pig’s Innards (livers and intestine), Sliced Beef and Pork with Century Egg priced at $7.80 onwards. Premium range of congee such as Alaskan Crab Legs, Hokkaido Scallops and Braised Abalone are also available at $16 – $20. 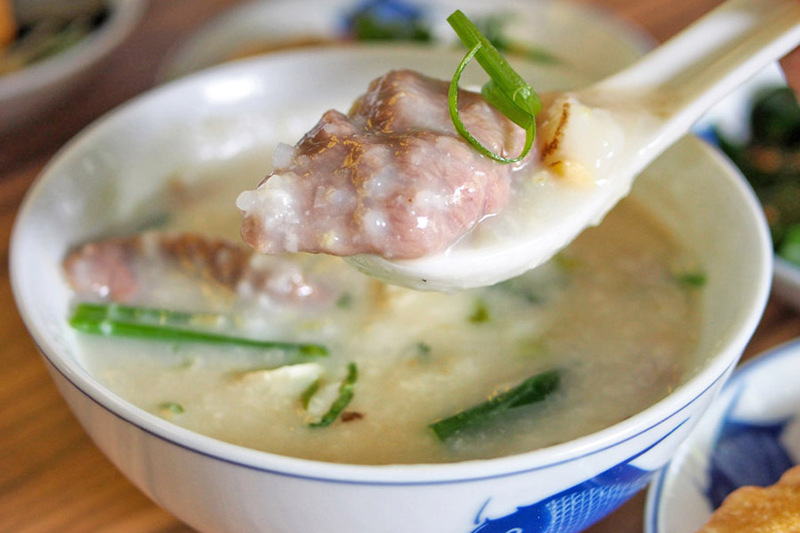 The congee is said to be prepared from scratch, following a five-hour-long process in which the raw rice grains are first mixed with mashed century eggs, which help to break down the grains. Pork bones and fish stock are then added and the mixture is stirred every 5-10 minutes, for 5 hours for a luxuriously creamy end product. The vanishing tradition of cooking in copper pots is also kept alive here. I went for their Homemade Pork Meatballs ($9.80, added with Sliced Beef at additional $4) which came in chunky tender beef slices and hearty luscious congee infused with alluring smoky wok hei (wok heat). This seemed to be a tad more watery than the Hong Kong version, but the heat, smoothness and flavours were there. Pleasantly surprised. I was also recommended the Parrot Fish Belly Congee ($11.80) which came with thick strips of fish belly, and beware of lurking bones in the belly meat. 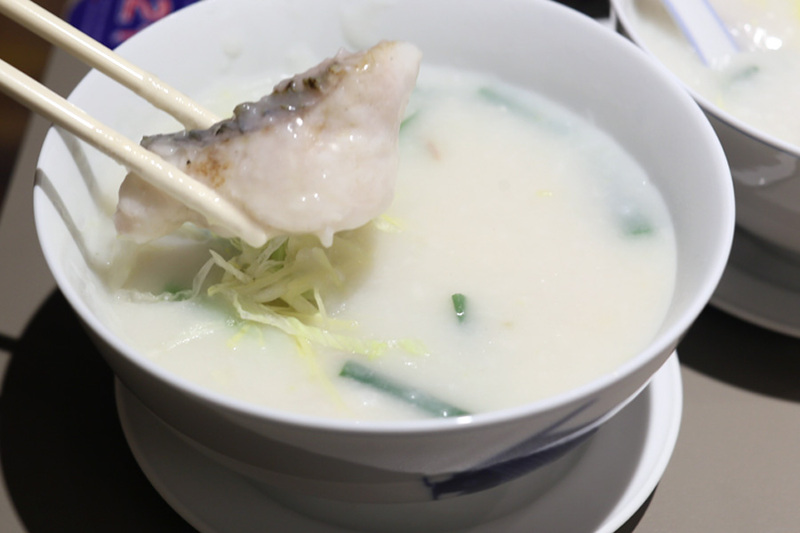 It featured dace fish, sautéed with rice wine, cooked with wok-hei before adding to the congee. The fish was the weakest link as they were sliced too thick and tasted bland – lacking the natural sweetness. Unfortunately, when I returned for another meal a month later, the congee were too watery and inconsistent – two bowls had varying textures and quality. Other accompanying sides include Poached Hong Kong Kai Lan ($8), Pig’s Innards ($9), Dough Fritters ($2), Century Egg ($2) and Singapore exclusive Drunken Chicken in Shaoxing Wine ($10). 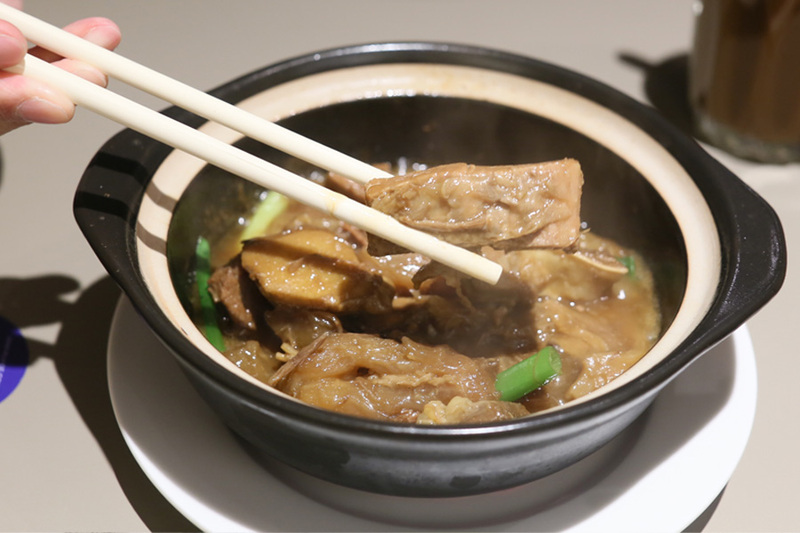 Also new on the menu are an array of claypot dishes, such as Frog Legs with Ginger & Spring Onions ($22) and Beef Brisket ($18). 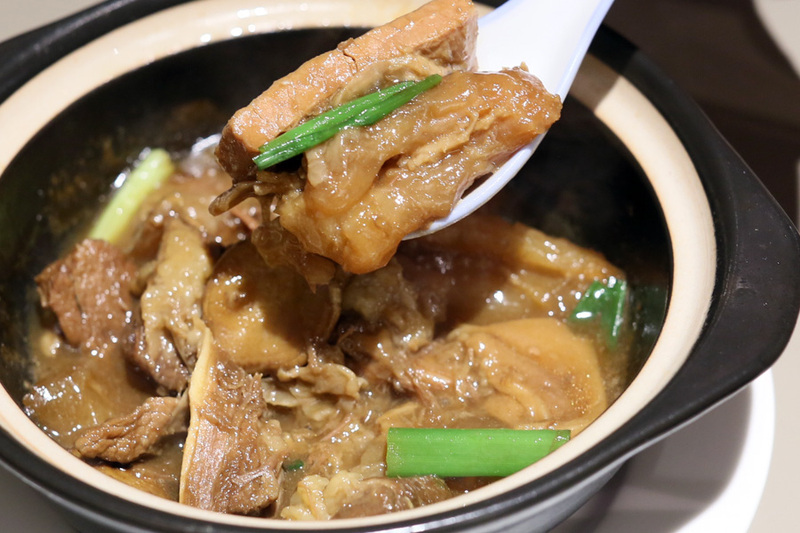 I was initially worried if the Beef Brisket would be “Hong Kong quality” but it turned out to be well worth the wait – with soft tender pieces kept heated in a claypot of intense wok hei. 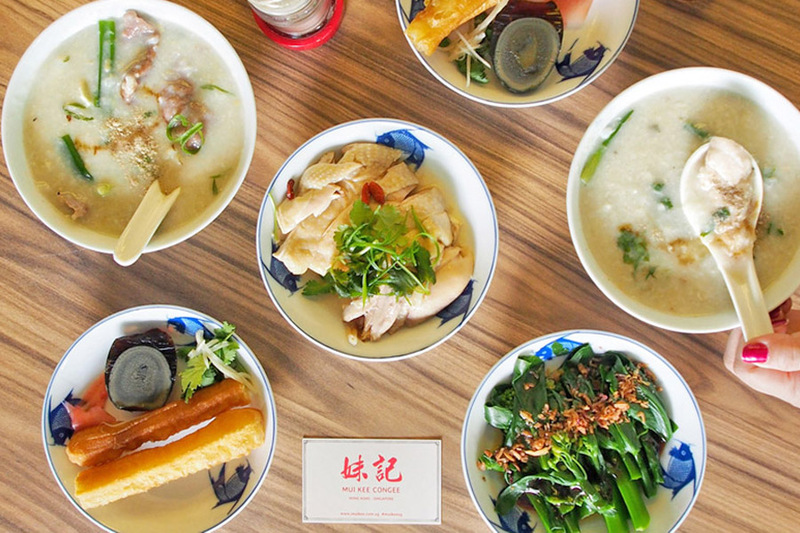 Good that Mui Kee is now at a more convenient location at Orchard to satisfy Cantonese congee lovers. * Written by Lewis Tan @juicyfingers and Daniel Ang @DanielFoodDiary. Daniel’s Food Diary pays for food reviewed unless otherwise stated.